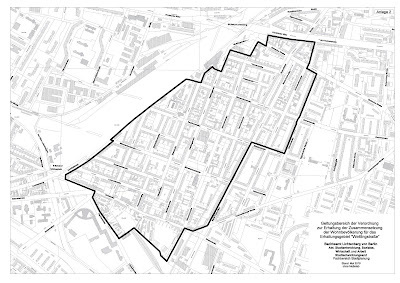 The newest area for "Milieuschutz" is in Berlin-Lichtenberg, the first one in the district. While a research project in 2016 came to the conclusion that there is no pressure on the existing social structure and tenants are safe from gentrification a recent update of the data showed that more than 50% of the current tenants in the area are under threat of being pushed out by the price development. So the local council voted and passed a measure to protect a specific area from certain changes. The measure is known a "Milieuschutz" or more formally as "Erhaltungsgebiet" and was passed in the district assembly on 17.05.2018 which became effective a few days later with its publication. The area is called "Erhaltungsgebiet Weitlingstraße"
We are consulting owners on how to optimise their properties in protected areas.